Acidjack recorded this set from an optimal spot in the venue, with the mics mounted on a pole clamped to the balcony post and extended almost directly in front of the soundboard. The house mix was excellent, and that is reflected in this recording. Enjoy! 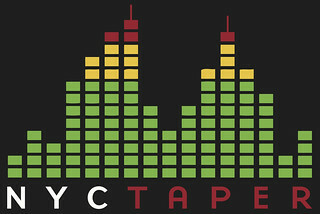 If you email nyctaper for access to this recording, we expect that you will PLEASE SUPPORT Maserati, visit their website, visit their MySpace page, and purchase their official releases directly from the BUY link at their website [HERE]. thank you for this. I am seeing them tonight in Cambridge MA. Plan to run tape myself for both bands. I got this picture of the setlist from the show, I think Ben’s is accurate though. No, Ben’s set list is not correct. The set list photo from comment #4 is correct. The show is complete. 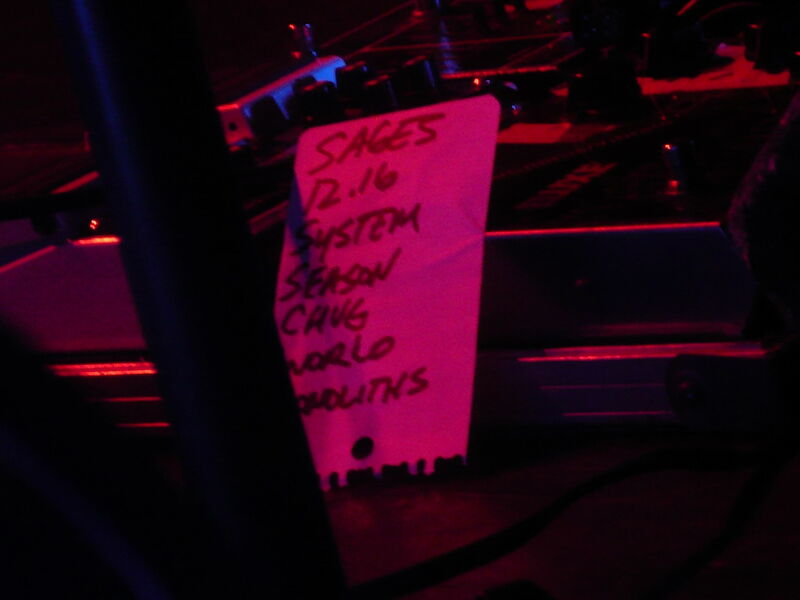 I don’t think they played No More Sages… or if they did, the setlist is wrong. I remember them talking about skipping the first song before the show, so yeah, I think they skipped No More Sages. OK, that makes sense. I am not an expert on their catalog by any means, but I’ve heard “No More Sages” and am pretty sure it wasn’t played. Curious if they played it the next night – I was supposed to attend but couldn’t make it.. They did play No More Sages. They opened with it. RIP Jerry Fuchs. I am glad i got to see him play this show, one of the most incredible drummers i had ever seen.